When you first approach Quini’s wine rating Web app or iOS app, its presentation has the appearance of a consumer-facing app. But linger in the app’s more subtle depths, and it finishes with a play to provide real-time data to the wine industry. 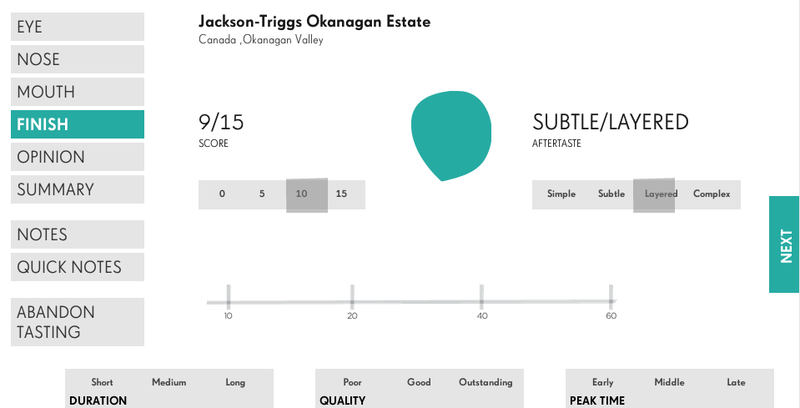 Developed by Vancouver-based Rachis Wine Assessment Inc., Quini began as an interactive tool that its wine-loving founders envisioned would help users learn about wine. 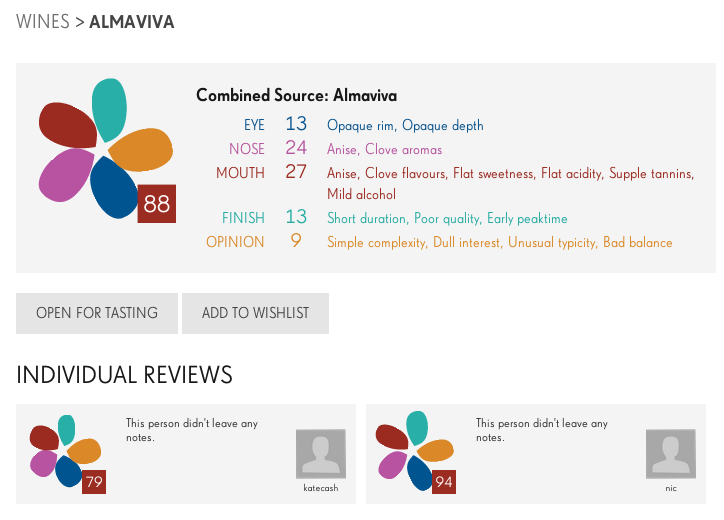 The mobile app and web tool launched just last month seeks to help consumers pick out a bottle from the racks at the wine store, then rate it across different attributes in categories covering three senses – appearance, aroma, and taste – plus the wine’s complexity and an overall opinion. Along the way they’ll expand their wine vocabulary and learn more about what it is they like – or don’t like – about the wine drinking experience. Quini is available as a free download on iPhone and iPad, and the web tool is also free to access. That’s because the business model comes from monetizing anonymized consumer data rather than selling the app to consumers, explains Quini CEO Roger Noujeim. He sees an opportunity to provide wineries, wine distributors, and large restaurant chains with a real-time, user-generated data set. The sales pitch to the wine industry is that real-time data will help them make better decisions, faster. If a wine distributor sees a certain wine is rated very high, it can make sure it’s in stock to meet the higher demand. If a winery sees one of its wines is rated low, it can investigate what people didn’t like about it. As is the promise with many big data applications, it allows wine sellers to predict what will happen in the market and be ahead of the curve. Quini is planning to offer industry products such as a consumer database, delivery of quarterly wine trends and preferences, and delivery of custom reports based on customer preferences and demographics. Of course, for that sort of data to be useful, there needs to be a lot of it to reach a threshold representative of the market. To get that, Quini needs users. So Noujeim has a marketing plan. “The idea that seems to be getting traction is at the end of my dinner or lunch, I’ll receive information along with my bill,” he says. It’ll be a passport-sized pamphlet that envelopes a Quini loyalty account card. There will be instructions on how to download Quini along with some of the benefits of using it. Marketing for the app will be rolling out across North America starting with a major focus on Canadian cities. Quini is also planning an online ads campaign and a social media push. While Quini is still working to convince users it won’t have a disappointing finish, others have vouched for the team. The Canada Media Fund invested $1 million in Quini in November 2012 as part of its experimental stream funding to encourage the development of innovative, interactive digital media content and software applications. Users will be able to complete evaluation of a wine in 60 to 90 seconds on an iPhone app, he says. The desktop or iPad experience may see longer times to complete an evaluation as the user design invites exploration. An Android app is being developed, as is a French-language version of the app.